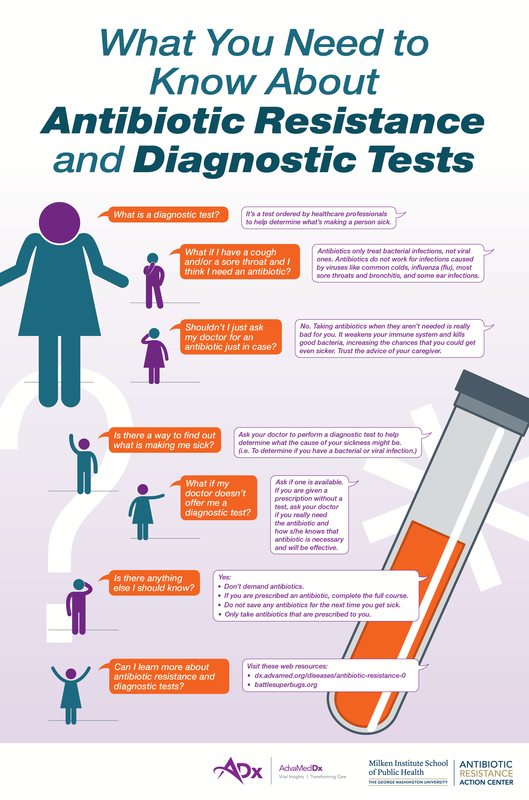 Diagnostic tests are a critical component in any strategy to reduce antibiotic resistance. 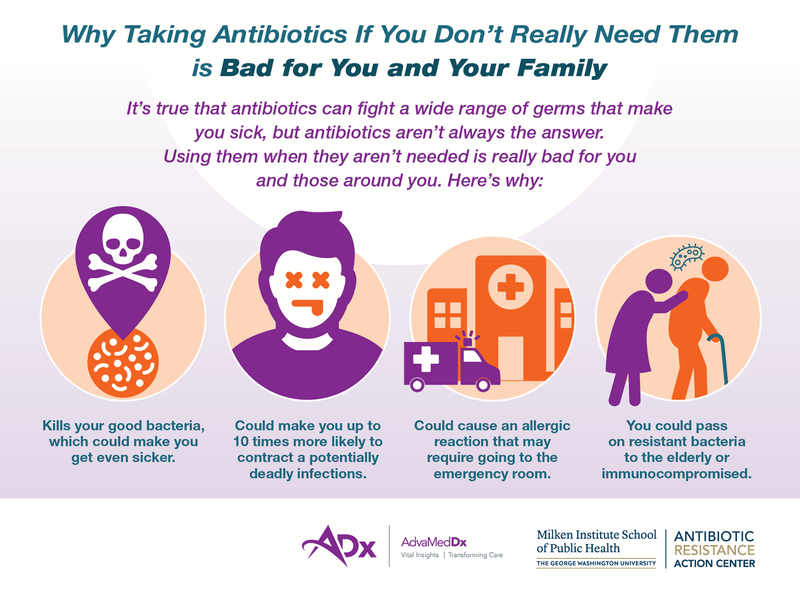 Diagnostic tests can help clinicians decide whether an antibiotic will cure an infection and which specific drug will work best. This could dramatically reduce unnecessary antibiotic use and improve patient care. 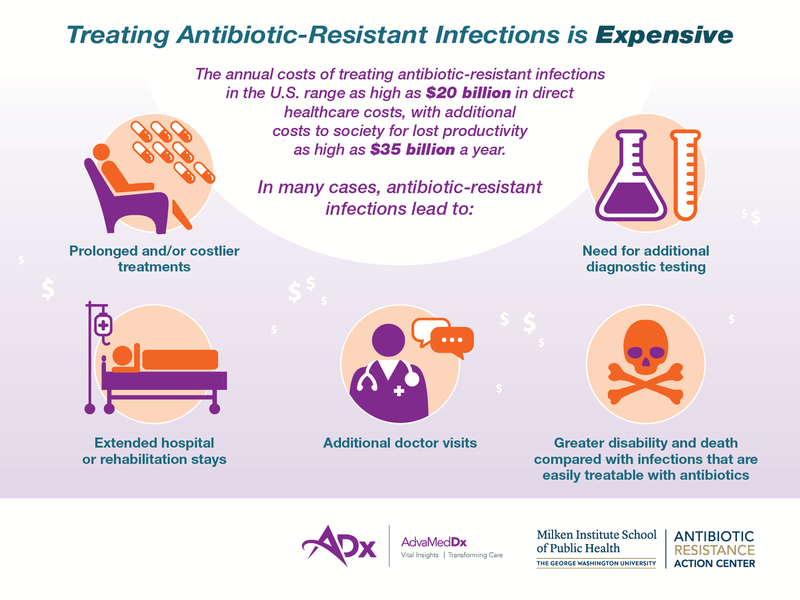 Below are some resources, developed in partnership with AdvaMedDx, that highlight how diagnostic tests can be utilized to help combat antibiotic resistance.